The Trump administration’s policy of criminalizing immigrants and ripping apart families is not only an inhumane assault on human rights, it’s vile and racist. The images and stories coming from the detention centers near the border are both heartbreaking and infuriating. They are heartbreaking because separating families fleeing persecution is a heartless, immoral policy that will forever scar not only the lives of thousands of children and their parents but also our democracy. They are infuriating because Trump intentionally manufactured this humanitarian crisis in a craven attempt to gain leverage in a legislative fight. CREDO, our members and our allies are working day and night to fight Trump’s racist policy of separating families at the border. Hundreds of thousands of CREDO members have taken action demanding that the Trump administration and Congress act immediately. 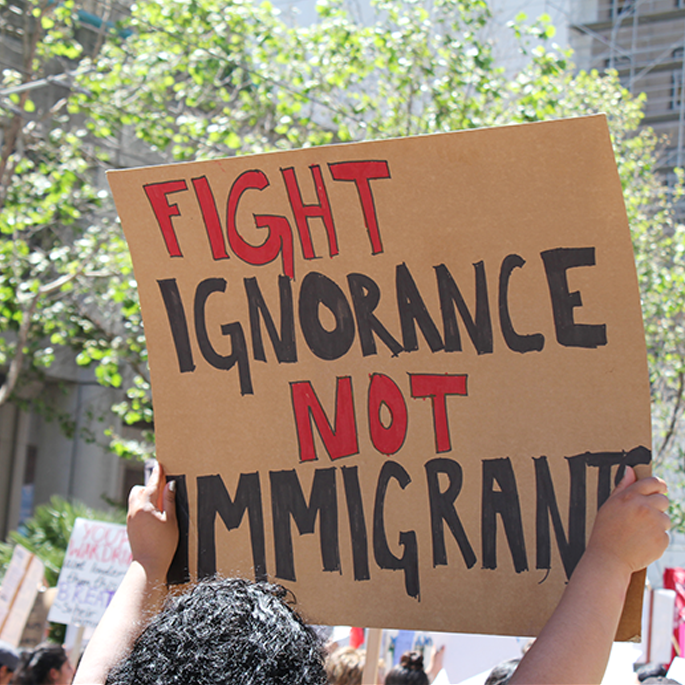 We’ve donated more than $800,000 to immigrants rights groups. And we’re supporting rallies across the country to push back against Trump and the vile racists in his administration. Here are some ways you can help immigrant parents and children right now. Contacting your elected officials directly in Congress can have a huge impact. This week, it’s important to block two xenophobic bills in the House that would criminalize, lock up and separate even more immigrant families. We have an easy-to-use call tool and sample script you can use when calling House leaders to urge them to stop these bills and keep families together. Click here to call your elected officials. While CREDO’s monthly donations programs support immigration organizations providing support for families separated at the border, many of our allies are in need of immediate and direct financial support to continue their critical work. If you have the means to support these groups, please click here to rush a contribution right now. CREDO and our allies at MoveOn and dozens of other organizations are planning a massive “Families Belong Together” rally in Washington and in cities and towns across the country on June 30. To learn more and find a rally near you, please click here.